Mr. Yeghishe Kirakosyan, Republic of Armenia Government Representative before the European Court of Human Rights, Adviser to the Prime Minister of Armenia, speaks about the role and functions of the Representative, applications brought against Armenia and pending before the European Court, as well as discusses the issues regarding delivered and upcoming judgments, violations found, the execution process and other questions at the TV programme “Hots Gits” hosted by Nver Mnatsakanyan. Within the framework of the program “Tesaketneri Khachmeruk” Mr Gevorg Kostanyan, Republic of Armenia Government Representative before the European Court of Human Rights, Republic of Armenia Prosecutor General, among the others, has touched upon the topic of the participation of parties to the Perincek v. Switzerland case, as well as discussed the Grand Chamber judgment and its potential impact. After joining European Council citizens of the RA displeased with decisions of the Armenian three-stage judicial system, received a chance to appeal against them at the European Court. Every unfair and illegal decision not only discredits our country but also takes huge financial means from the state budget, i.e. ordinary citizens who, in fact, pay from their own pocket for a wrong decision made by an ignorant or bribed judge. 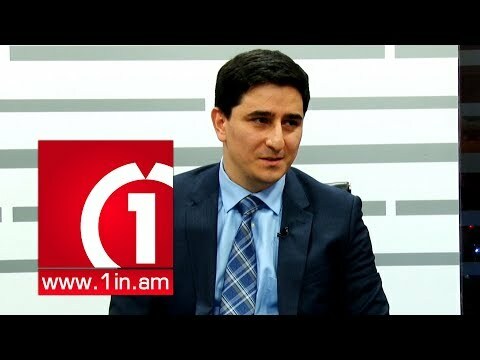 This interview with Gevorg Kostanyan, who is the Assistant to the President of RA, representative of RA at European Court, concerns the relationship between Armenian judicial system and European Court. 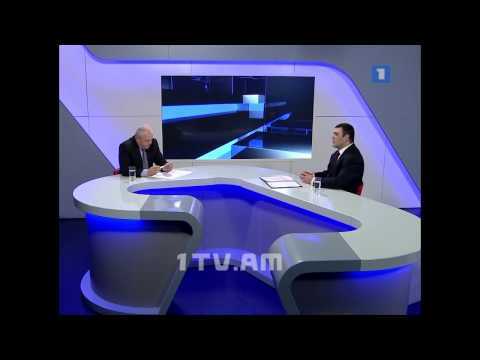 Mr. Kostanyan, what responsibilities are envisaged for officials whose infringements lead to European Court decisions against Armenia? - This question is regulated by the RA legislation in a clear and comprehensive manner: if the European Court makes a decision determining violation of human rights that took place due to actions or lack of actions of an official and if it resulted in damage to the state, the state has a right to apply to the court against that official, demanding compensation of the damage. This does not refer to all officials, judges are an exception because such a financial demand against judges may cause and causes breach of financial independence which is unacceptable hence such a mechanism cannot be applied against judges. The question of financial responsibility of a judge arises only in the case if the latter's guilt is proved by a valid judgment. That is, if it is proved that the judge has taken an obviously illegal judicial act by which he caused damage to the state; in that case it is possible to speak about material responsibility of the judge. It is something that never happens in our reality. If the first instance court takes a decision grossly violating European Convention, the Court of Appeal leaves it unchanged and the Court of Cassation does the same, and after that the European Court finds that the RA has violated the convention and sets a heavy fine. In your opinion who has to take the responsibility, the judge of the first, second or third instance court? - It is a conceptual issue that is presently being discussed in our jurisprudence. First, every court has to take a judicial action basing on the principles of justice and objectivity and never be guided by the presumption that the Courts of Appeal and Cassation will correct its mistake. That presumption does not work in our justice system and generally in the justice system. Each judge is responsible for decisions made and the question is not who of them has to bear more or less responsibility. The question is that such mechanism cannot be applied to judges of Court of Cassation. Presently the following approach is being discussed: is it possible to bring the Court of Cassation judge to account if the European Court decision has confirmed the fact of violation of person's right by a lower court and the Court of Appeal or Cassation left the decision unchanged or has not examined it at all? Two other courts are equally responsible. I can bring the example of the decision on the case Harutyunyan versus RA Justice Council, when the former Minister of Justice solicited to take judges to account and the judges of the first instance court and Court of Appeal were brought to disciplinary liability: the judge of the first instance court was made a severe reprimand with 25% charges from his wages and the judge of the Court of Appeal was just reprimanded. I cannot say what the reason was for such difference in sanctions but in my opinion judges have to be equally responsible. As of today, how many verdicts are there against RA, how many have been settled in conciliation and how many complaints have been communicated to the state? - I do not consider or it cannot be considered that decisions of the European Court are against or in favor of the state. All the decisions are aimed at securing efficient lawfulness in the country. Irrespective of the fact if the verdict оr the decision had confirmed the fact of violation or lack of such violation, interpretations and manifestations contained by those decisions are very important for the country. Even if violation is found, one cannot say that it is against the state. How many verdicts have been made? - 20 verdicts have been made altogether. At the moment I cannot say in how many of them violation has been found. One of them is the well known verdict in the Jehovah's Witnesses case which is speculated all the time. International organizations were continuously making inquiries why Jehovah's Witnesses were prosecuted for conscientious objection, that it was violation of human rights etc. Nevertheless the European Court considered that there was no violation. The second was the case Bojolyan versus Armenia, where Bojolyan claimed that his freedom of speech had been restricted. I have to say that this case had its honorable place among the so-called political prisoners' list of Armenian National Congress, but the European Court confirmed that the conviction was justified and there was no violation. Do the cases settled in conciliation exceed the ones not settled in conciliation? - There are 20 verdicts on violation of fair trial. I cannot at present say what the ratio is but the ones settled in conciliation are included in that figure. 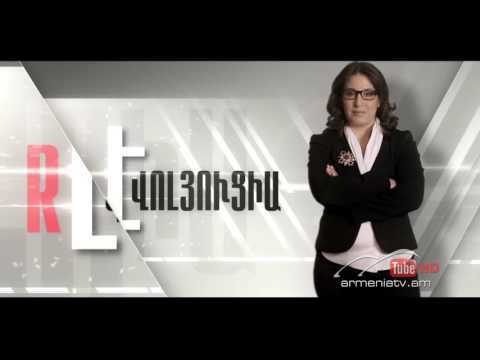 For instance, the case Tcheghlyan versus RA was settled in conciliation (in the person of Yerevan municipality) and was confirmed by the court decision. What can you say about appeals? - Since 2002 to April 23 of 2009, 1120 appeals have been made to the European Court 291 of which have initially been considered unacceptable. 105 cases have been communicated with the Government; at present they are in the stage of discussion and 5 of them are considered unacceptable. Have there been any appeals from our state? - Of course. There are cases when we do not agree with the decision of the European Court. There are cases when the European Court did not accept the cases after we explained that they were presented to the European Court without appealing them in all judicial instances of our country.